Sando Marteau is a musician, who lives and works in Lubumbashi, the capital of Katanga Province in the Democratic Republic of Congo. He is one of the rare Congolese poets using the Swahili language to express his art. Full of melancholy, his songs evoke the suffering and the actual difficulties of the Congolese society, but they describe as well the general situation of the human condition in the present world. Existential experiences – as anxiety, agony, fragility or soitude – are con­stant topics of his songtexts. 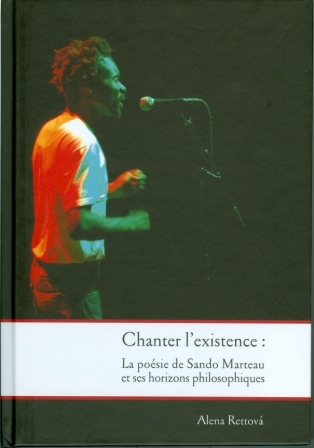 The present publication provides an introduction to Sando Marteaus work by classifying it into diverse intellectual contexts: Swahili literature, philosophy, in particular the African philosophy, and Congolese music. The author explores the philosophical dimension of the young poets’ songs by attributing an implied existentialism to it. Furthermore the relevance and possibility of using the genre of musical perform­ance to express philosophical ideas is examined. Alena Rettová is Senior Lecturer of Swahili literature and culture at the School of Oriental and African Studies in London. In her research she focuses on the philosophical discourse in African languages. Her last book Afrophone Philosophies. Reality and Challenge (Topics in Interdisciplinary African Studies, vol. 7) was published in 2007. Dieses Buch ist ein wichtiger Beitrag zum Verhältnis von Kunst und Philosophie aus einer innerhalb der Philosophie noch weitestgehend ignorierten Region, Afrika, und eröffnet damit auch auf diesem Gebiet neue Ansatzpunkte für ein interkulturelles Weiterdenken.